Divorces involving physicians and doctors can be complicated. There are often a high number of assets involved which can make property division more complex than normal. At the Law Office of Karen Schoenau, our Phoenix physician divorce lawyer has extensive experience handling marriage dissolutions for medical professionals. We will work closely with you to ensure that your valuable interests are protected throughout the legal process. Professional practice and business valuation. Ensuring that all assets are disclosed. Working toward fair and equitable distributions. 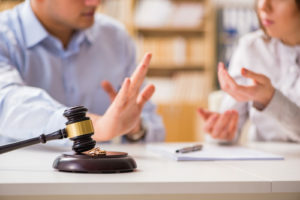 In addition to helping you determine what to do with your professional practice, the legal team at the Law Office of Karen Schoenau can handle all of the other issues that arise in a divorce, including child custody and visitation, as well as matters concerning child support and spousal support or alimony. In every case, we will work tirelessly to ensure that you receive the fair and equitable portion of the property to which you are entitled. If you are a medical professional or the spouse of a medical professional and your marriage is at an end, we can help. Contact our Phoenix physician divorce attorney online or call 480-467-3435 to schedule an initial consultation to discuss your case. We will guide you through the legal process as quickly and as painlessly as possible.